Unmanned Aerial Vehicles (UAVs) are a ‘disruptive technology’, a technology that forces us to rethink how we do (or used to do) things – from protecting white rhino to delivering pizza. Everyone who needs a bird’s eye view is now wondering how this technology can help them; farmers, structural engineers, ecologists and, of course, archaeologists. 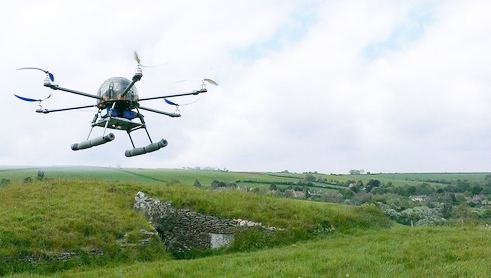 In theory, even a very minor archaeological site can now benefit from its very own aerial survey. But while the possibilities for archaeology are immensely exciting, many of the actual results are still disappointing; blurry aerial photos, images which may be pretty but which can’t be georeferenced and expensive cameras hitting the ground at terminal velocity.